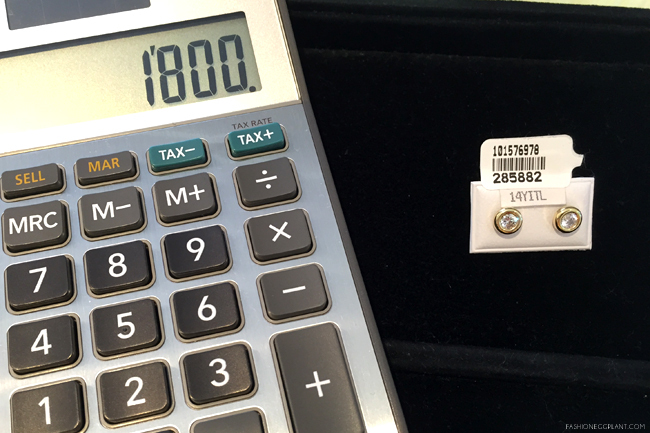 How much are you willing to pay for a pair of diamond + gold studded earrings? A true everyday classic that never goes out of style. P40,000? P100,000? What if I told you that you can own a pair for only P1,800? 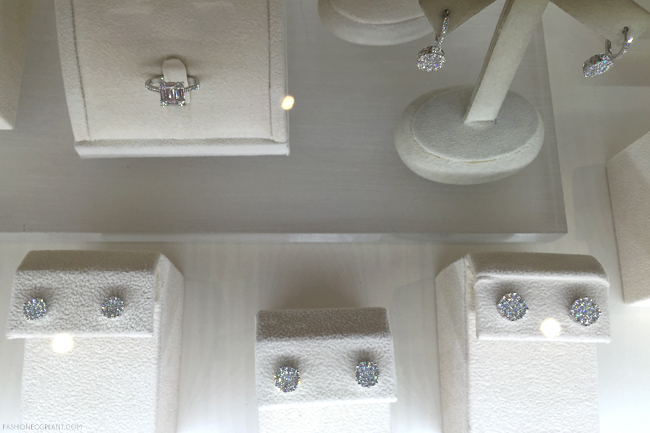 Not exactly real diamonds but high quality cubic zirconia set in 14k Italian gold. Still not bad right? After all, as The Little Black Book Of Style says, diamond earrings are a must have in every girl's closet wether fake or real doesn't really matter. 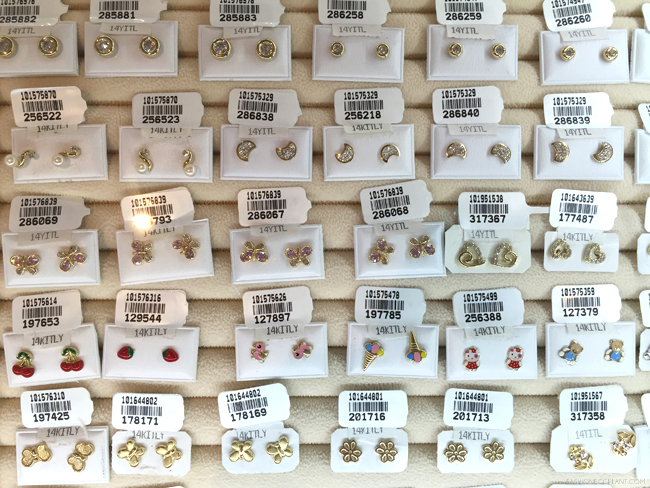 These studs by My Gold are the perfect happy medium. 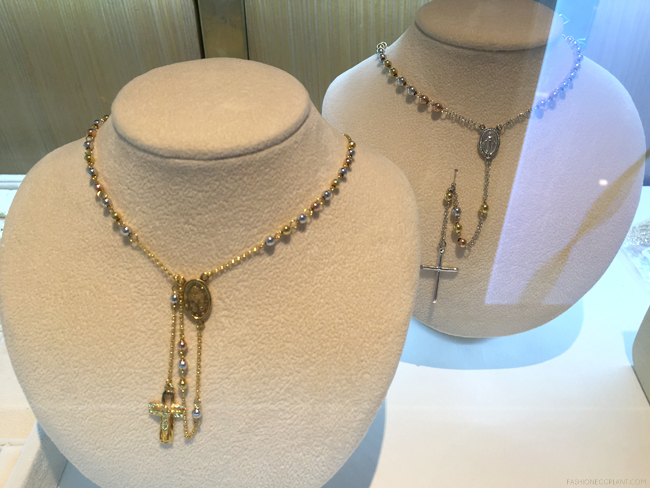 In business since 1987, My Gold initially started as a 2-display showcase in a department store offering crosses and pieces with the image of Sto. Niño. 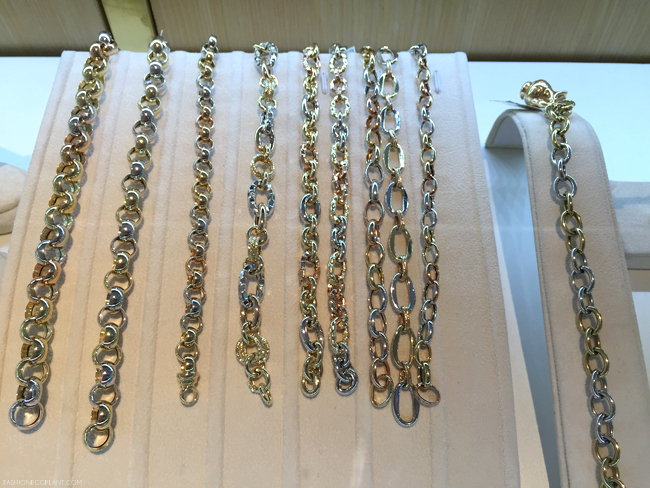 Shortly after, they partnered with a Singaporean manufacturer to expand their collection into a more diverse line up of pieces that feature diamonds, pearls and colored stones. 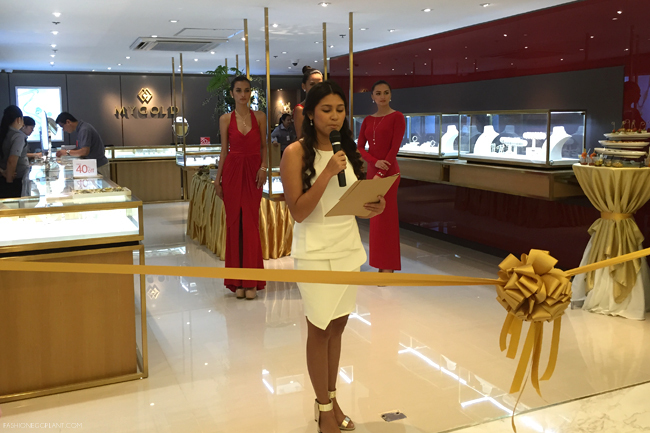 The new boutique in SM Makati's Branded Accessories Department is their first partnership with SM Malls marking exciting new beginnings for the brand. 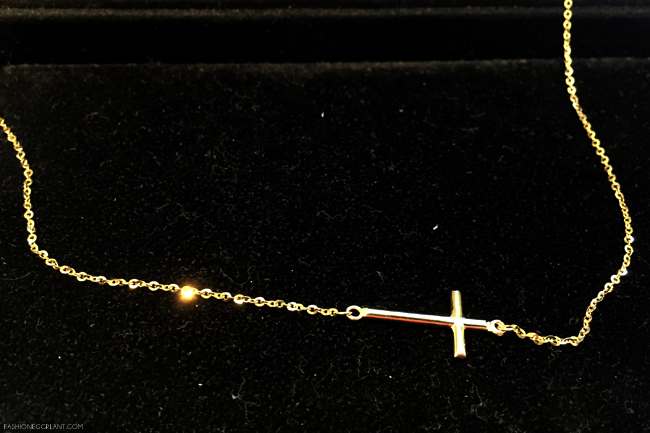 Aside from the studs I mentioned above, I also came across several other beautifully designed pieces such as this 14k gold cross necklace that's currently on sale for only P8,000. Indeed there's no reason to go the fancy route when you've got affordable heirloom quality options such as these gems from My Gold. Check out My Gold at the 2nd Floor of SM Makati's Branded Accessories Department and take advantage of their opening sale where you can enjoy up to 50% off! 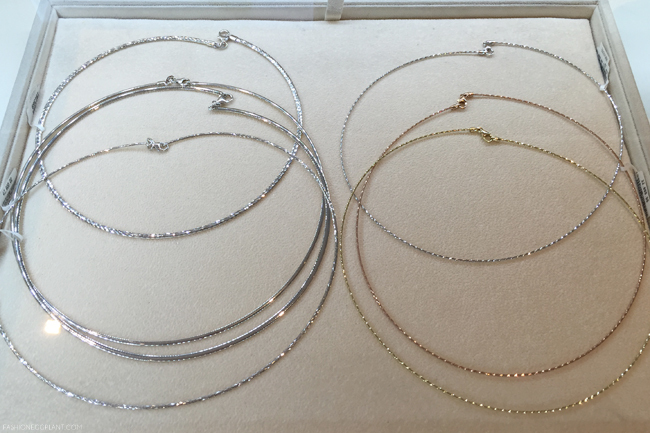 These are indeed fashionable jewelries that never goes out of style. I heard about cubic zirconia when I was watching History channel and I admit it does looks like a real diamond. Congratulations to My Gold for their new store. Oohhh!! My eyes always beam with joy when I see the word "SALE". Lol. Anyway, I hope the branch nearest to us have this collection already. I'm not a jewelry wearing gal. I have my rings from hubby and that's about it. 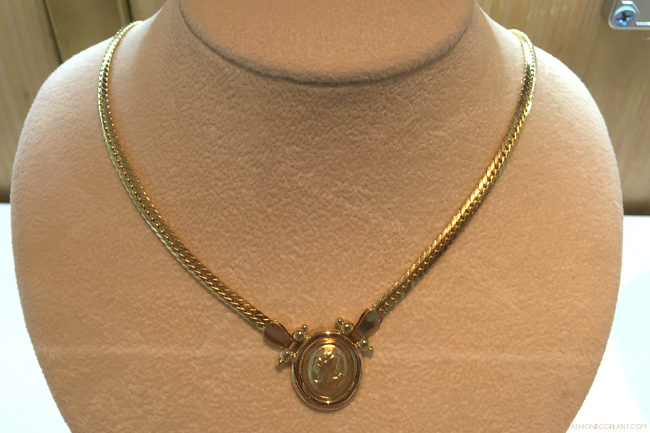 I would love a quality necklace though but just one as I don't like to mix and match to much. I'm so boring! I love the studs for babies! They're so cute! I bought one gold necklace in My gold makati 1 yr ago and I want to return it and repurchase a different jewelry can I do that i have the receipt.